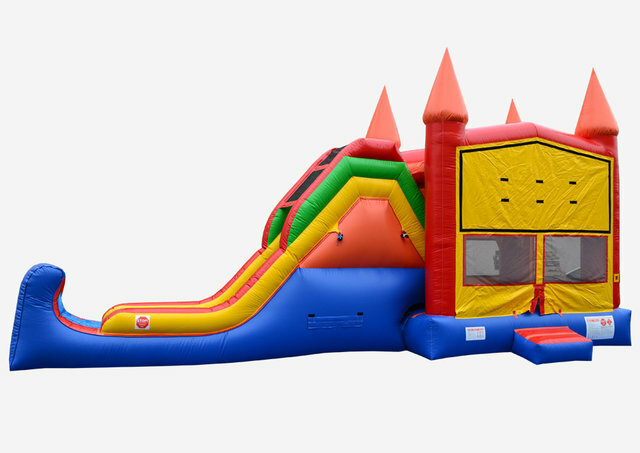 Castle Combo Themed 4 in 1 Jump Climb dry slide with basket ball. This is not a water slide. Please call office to confirm availability of this unit prior to booking.